Welcome back to Survivor Reborn, this time for a look back at the stunning environments from 1997’s hit sequel, Tomb Raider 2. In this short video series, we have followed in Lara’s footsteps and explored those fan-favourite levels from 1997, this time through the very shiny new ‘Open Lara‘ website that allows you to explore the hit classic with a number of upgrades. Raiders can now play Lara’s iconic first couple of adventures with improved shadows, slow-motion, better water effects, and even that long-lost feature ‘dual aiming’ which allows Lara to aim and shoot at different enemies at the same time. There’s also the option of playing in first-person if that takes your fancy. However, there are still a few bugs that are being ironed out, so Tomb Raider 2 is currently more of an ‘exploration adventure’, and doesn’t feature combat. 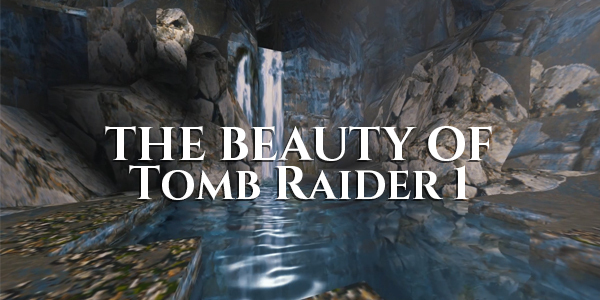 So, join us as we revisit our old haunts, and look at the world through Lara’s eyes. We begin our journey in the canals of Venice before following Bartoli to the Wreck of the Maria Doria, to the snowy peaks of Tibet, and into the trap-filled caverns beneath The Great Wall of China. Sit back and enjoy this four-video nostalgic tingle-fest! If you enjoy these, be sure to follow us on Facebook and Twitter for more Tomb Raider goodness! The Beauty of Tomb Raider 2 by Chris Carpineti is licensed under a Creative Commons Attribution-NonCommercial-NoDerivatives 4.0 International License.